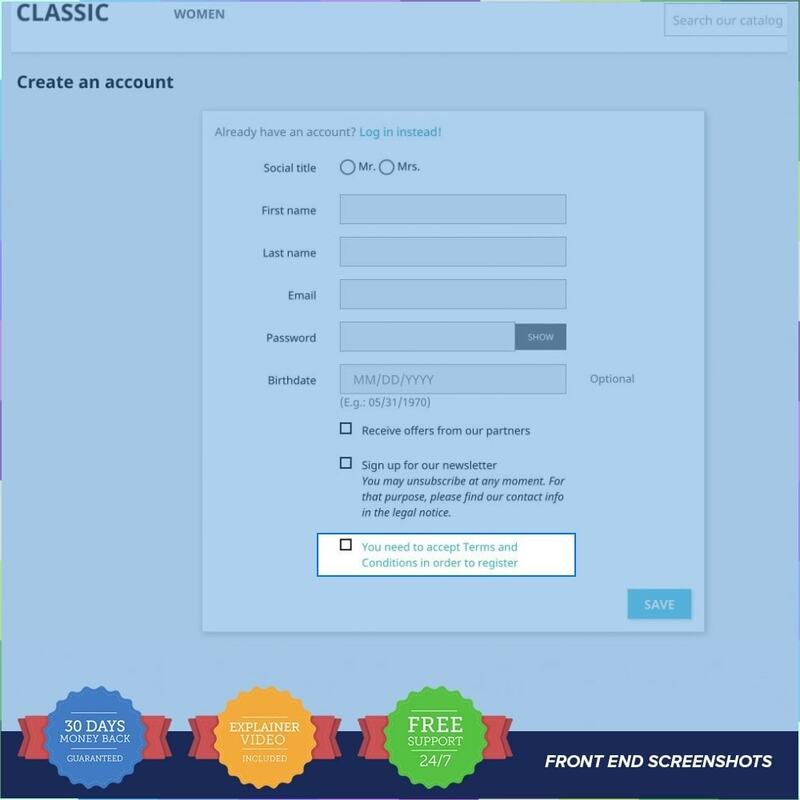 Block users to create an account if they don't agree with your terms and conditions. 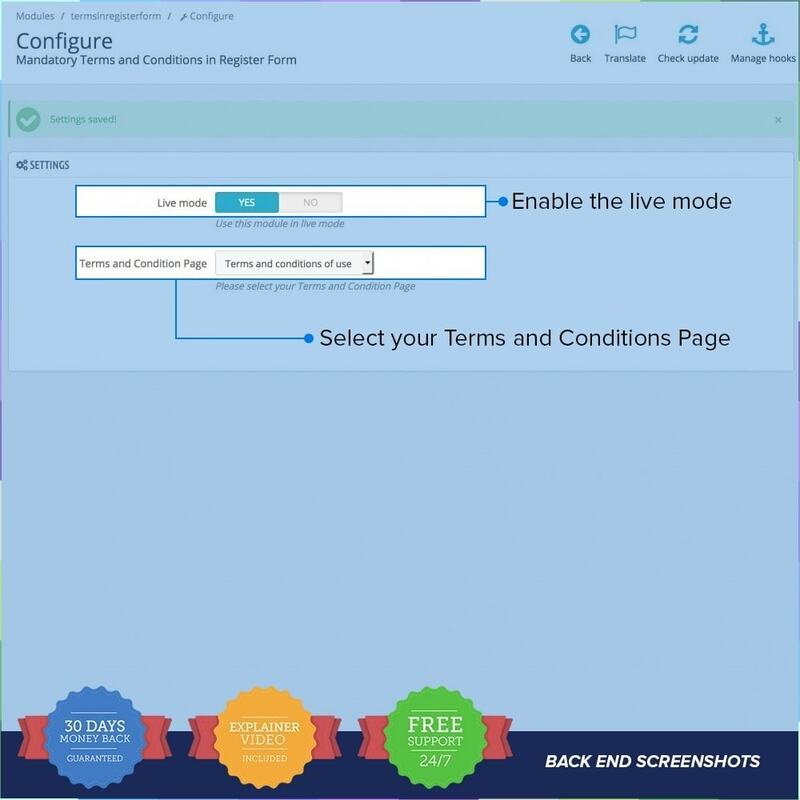 There is also a link so your customers can read all terms and conditions and if they agree, they can check and register an account. The support is amazingly good! 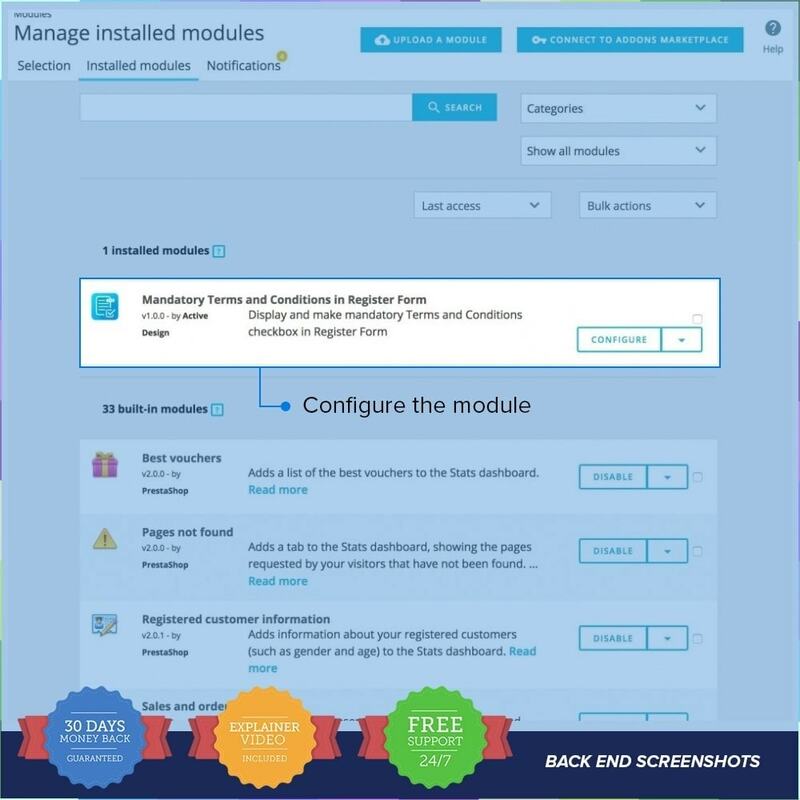 I strongly recommend buying this module: there is a fast and great assistance for any needs.